This has influenced the way web developers and publishers think of website building because Panda sifts through and penalizes sites with mediocre content. Since its first rollout, the filter has affected 12% of the internet’s content farm that are poorly written or irrelevant. Now on its second year, Panda has gone through major changes and upgrades to ensure quality search engine results to the Google market. A bigger coverage is developed for the section on related searches. 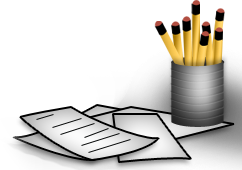 In effect, this provides more websites and correlated content depending on a user’s query. This section also features advanced settings, which allows the user to filter the search results. Aside from excluding irrelevant content from the search results, Panda has also extinguished duplicated content and snippets. This action is made possible by the algorithm’s analysis on the web content rather than on the query. Google has improved its website preview by resizing thumbnails into standard dimensions. Aside from local consistency, this change is also beneficial to tablet and smart phone users. Official pages, especially for government and agency sites, are now provided on top of the search ranks. Cases of previously misidentified official sites have been reviewed and avoided. This allows local businesses to rank high on place-specific queries. It is beneficial to small and start-up companies because Google Panda has given them equal or even better footing when pitted against the bigger companies. 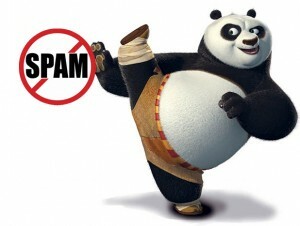 Spamming Google is now harder than ever as Panda launched better security. Aside from your site getting penalized, posting irrelevant comments on threads and plagiarized content can put your site at the bottom of the list. Google has changed their techniques in categorizing linked pages. This means that all the link building techniques done by SEO experts in the past year is not as effective as before. A new system has been developed to consolidate signals whenever a new topic becomes popular or trending. With the online detection, tallies are kept real time, thus eliminating inconsistencies in the analyses. Auto-complete and auto-correct options are now better as upgrades in spelling have been made. Okay…So What Should You Be Doing Now? Create quality content and share it. On your website, add blog posts, videos, whitepapers or case studies, resource pages, webinars, infographics, and other high quality content to leverage for link building and attract natural, organic links. Not only can use your content to build links and traffic, but you can use it to generate comments and leads by providing content of value to your target market.